The first four! 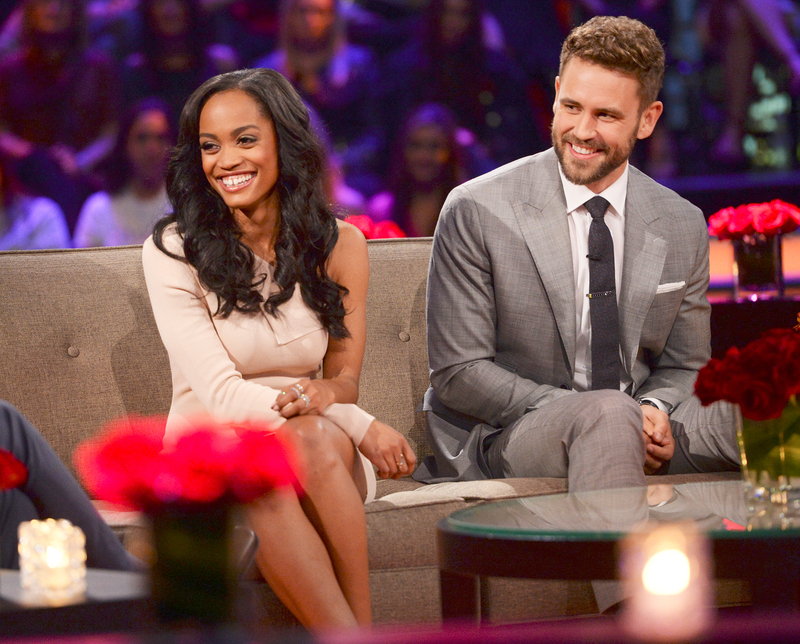 Following The Bachelor‘s team previously dropping numerous hints about the season 21 After the Final Rose special’s “historic” moment, the show finally arrived, and the surprise involved new Bachelorette Rachel Lindsay. Lindsay herself claimed to have no idea about the twist and appeared to be shocked as the stage was transformed to resemble the Bachelor mansion. “I’m excited to meet the guys — and nervous!” she told host Chris Harrison. The first suitor Lindsay met was Demario, who told the 31-year-old attorney that she’s “beautiful.” He added, “So what I did, I booked some flights to Vegas for us to elope.” At that, he showed her apparent plane tickets and a wedding ring. Next was Blake, who admitted to being nervous after he awkwardly kissed her hand when she thought he was going in for a hug. “You look good — you smell good,” he informed Lindsay. In fact, there were two more gentlemen waiting in the wings. One was Dean, who told Lindsay, “I just want you to know, I’m ready to go black, and I’m never going to go back.” Uh, OK. And the final guy to take the stage was Eric. Tell Us: What do you think of Rachel’s men so far?